The first step after a Gwinnett County accident is to get a copy of your Gwinnett County Motor Vehicle Accident Report. 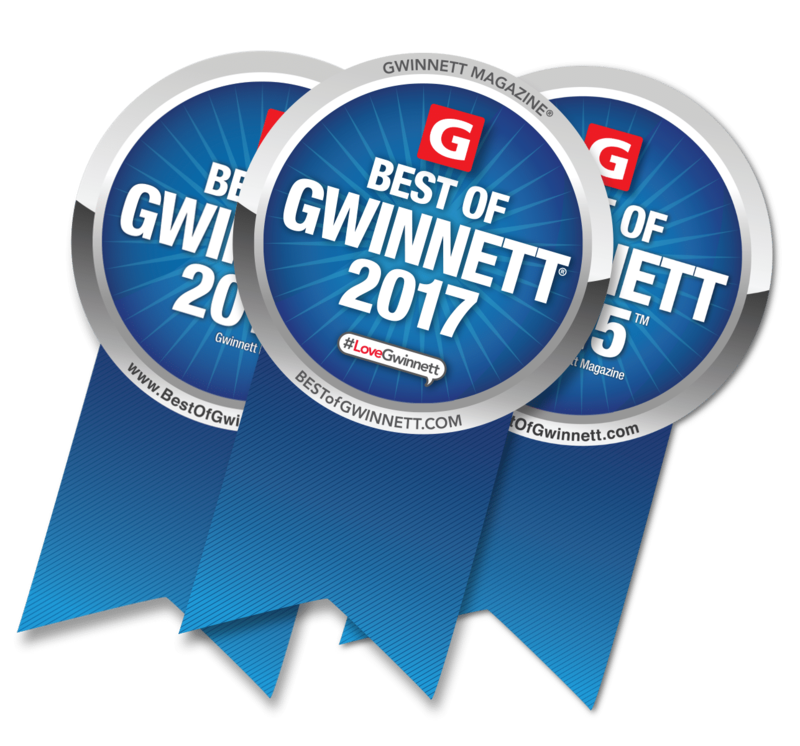 Gwinnett is actually one of the most efficient counties when it comes to obtaining reports as many of the Gwinnett accident reports are available online. Generally, Gwinnett accident reports take up to four days to complete. You can check the status of your report by calling the police department that responded to your accident (contact numbers below) or by logging into Buycrash.com. (1) Online: – Gwinnett makes almost all of their Gwinnett accident reports available online at buycrash.com. Buycrash is an online service that allows you to print your accident report from the internet. Purchasing Gwinnett accident reports on Buycrash are generally more expensive than picking up Gwinnett accident reports in person [$11.00 Buycrash fee for Gwinnett Police Department reports as of the date of this article, less for some city police department reports]. Please note that to buy your report on buycrash.com you will need the following (a) the date of the accident, (b) the police department that responded to the accident scene [i.e. Gwinnett County, Duluth, Lawrenceville, etc], and (c) ONE of the following: driver’s last name, accident report number, or vehicle VIN number. For security purposes, Buycrash will not let you get the report without all the needed information. Please note that as of the date of this article, the information below was. Prefect to the best of knowledge and we make no warranty or claim as to the accuracy of any of the information contained therein. Please call and independently verify the correct cost, availability date, and pick up place for your report. Gwinnett County Police Department Reports – Gwinnett accident reports are available at the Gwinnett County Police Headquarters, 770 Hi Hope Road, Lawrenceville, GA 30044. As of the date of this article, the charge for accident report pick ups are $5.00 CASH ONLY, and often the headquarters will not break a bill larger than $10.00. Please call (770) 513-5000 in advance to confirm price and availability. Auburn Police Department Accident Reports – Call (770) 513-8657 to receive your accident report cost and availability date. Prices vary by pages copied. As of the date of this article, The Auburn Police Department accepts check, cash, or money order. Pick up at 1369 Fourth Ave., Auburn, GA 30011. Braselton Police Department Accident Reports – As of the date of this article, people can pick-up their accident reports at 5040 Georgia 53, Braselton, GA 30517. Call (706) 658-2852 x1101 before arriving to confirm cost and availability of report. Duluth Police Department Accident Reports – As of the date of this article, accident reports are $5.00 (sometimes free for involved party) and are ready for pick-up after 5-10 days at 3276 Buford Highway, Duluth, GA 30096. Call (770) 623-2771 to check the status of your report, availability and cost. Lawrenceville Police Department Accident Reports – Call (770) 962-4173 to check the status of your report, cost, and pick-up site. As of the date of this article, accident reports are $5.00 (sometimes free for involved party) and can be picked up at 300 Jackson Street, Lawrenceville, GA 30046. Lilburn Police Department Accident Reports – As of the date of this article, accident reports are $5.00 and can be picked up at 76 Main Street, Lilburn, GA 30047. Confirm cost, pick-up site, and availability by calling 770-638-2193. Loganville Police Department Accident Reports – As of the date of this article, accident reports take 3 to 5 business days to complete, cost $3.00, and can be picked up at 605 Tom Brewer Road, Loganville, GA 30052. Call (770) 466-8087 before arriving to make sure of cost, and availability of report. Norcross Police Department Accident Reports – As of the date of this article, accident reports are generally available within 3-5 business days and can be picked up at 65 Lawrenceville Street, Norcross, GA 30071. Call (770) 448-2111 to check the status of your report, availability, and cost. 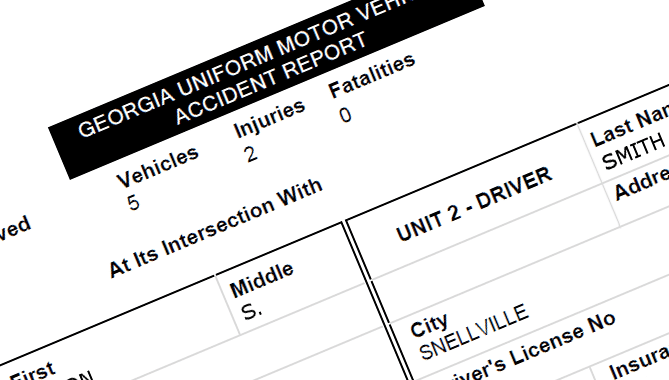 Snellville Police Department Accident Reports – To confirm status, cost, and pick-up site, call (770) 985-3555. Accident reports cost $5.00 [Cash, Visa or Mastercard] and can be picked up at 2315 Wisteria Drive, Snellville, GA 30078 as of the date of this article. Suwanee Police Department Accident Reports – Call (770) 945-8995 to check the status of your report, cost, and pick-up place. 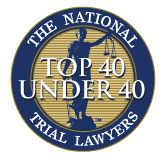 As of the date of this article, accident reports are $3.00 and can be picked up at 373 Buford Highway, Suwanee, GA 30024. (3) U.S. Mail – If you want to receive your Gwinnett accident reports via the U.S. Mail, you may do so by calling (770) 513-5000 and obtaining your cost. Then you can mail your cashier’s check payment and a self-addressed stamped envelope to Gwinnett County Police Department, Attn: Records, P.O. Box 602, Lawrenceville, GA 30046 with your accident report case number. Note: This only applies to reports taken by the Gwinnett County Police Department. Reports taken by the City Police Departments have different request rules for U.S. Mail delivery, and the accident report cost varies by city. Call your city police department ahead of mailing to confirm address, cost, and payment method before mailing. Posted in Bus Accident, Car Accident, Resources, Truck Accident and tagged accident, Auburn, Braselton, Crash, Department, Duluth, Georgia, gwinnett, Information, Lawrenceville, Lilburn, Loganville, Norcross, Police, Record, Reports, Snellville, Suwanee.